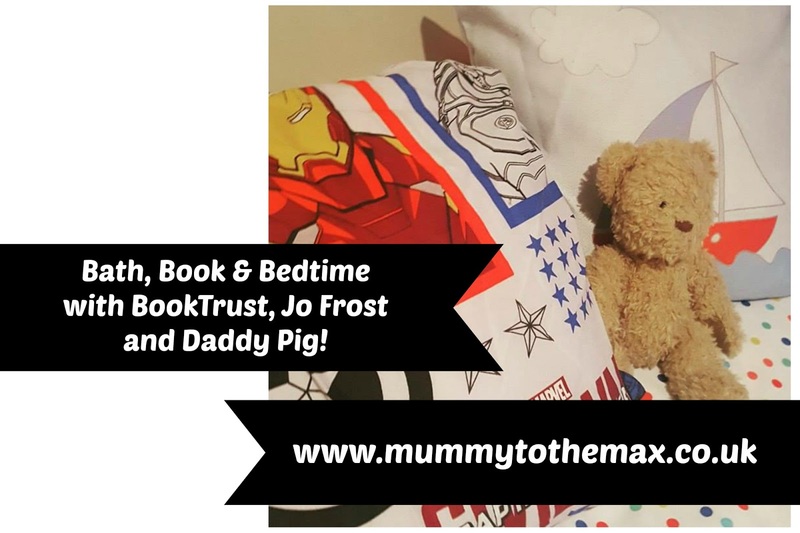 Bath, Book & Bedtime with BookTrust, Jo Frost and Daddy Pig! Ever since Maxwell was born, I was keen to get him in a good bedtime routine. Over a good few months when Maxwell was small, we struggled to get him into a routine however 4 years later, Maxwell is now in a fantastic routine for bedtime and goes up to bed at 7pm every night. We are lucky but I wonder if we had not been so persistent at the start, would Maxwell be in such a good routine now? As part of our bedtime routine, we have always believed in giving Maxwell a book and a bath. We always found that these two things were the best techniques to calm down our child. Maxwell has a huge collection of books and since Maxwell has started school. he is also able to bring a book home from the school library every week. Due to these factors, we have a lot of books to read through and luckily for us, Maxwell never gets bored of them. Recently i was super excited to be told about a campaign called#BathBookBed. This is a campaign by the BookTrust, who have also teamed up with Supernanny Jo Frost and Daddy Pig from Peppa Pig. The campaign is set up to encourage parents to include reading bedtime stories as part of their children's bedtime routine in a bid to help them sleep better. As soon as I heard about the campaign, I knew it would be something I would support. After dinner, we always reserve a little time to do an activity that will not send Maxwell to hyperactive. We normally build some Lego together, play with Playmobil or occasionally we watch our favourite TV shows. Once we have had our little down time, we then go upstairs to have a nice warm bath. In the bath Maxwell is able to play with his toys. Maxwell loves bath times and often sings and plays in the bath. I often feel that a lot of Maxwell's extra energy from the day can be burnt. Once it is time to get out, Maxwell gets dried and dressed and pops into bed. This is the time that we settle down. After our book we often have something which we call "question time". This is a time where we ask each other 3 questions about our day to one another. Once we have done our routine, I never have to wait long before Maxwell's head hits the pillow and he falls asleep. 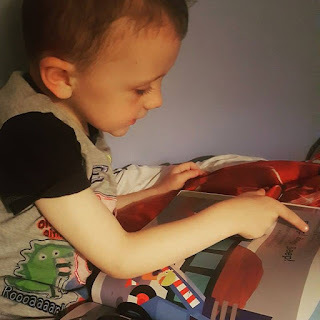 I love the routine that we have for Maxwell at bedtime and I believe book time is a huge routined event which is important to a successful bedtime. 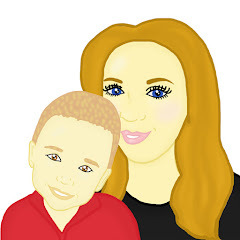 If you are a parent and are interested in the Bath, Book, Bed campaign you are able to get a booklet about the campaign from your local library or you can download it from the BookTrust website. It's full of helpful advice and tips for getting your child into a relaxing and effective bedtime routine and it's a great little booklet for parents to keep at hand. If your child is interested in flicking through, there are also some fabulous Peppa Pig images for them to view! 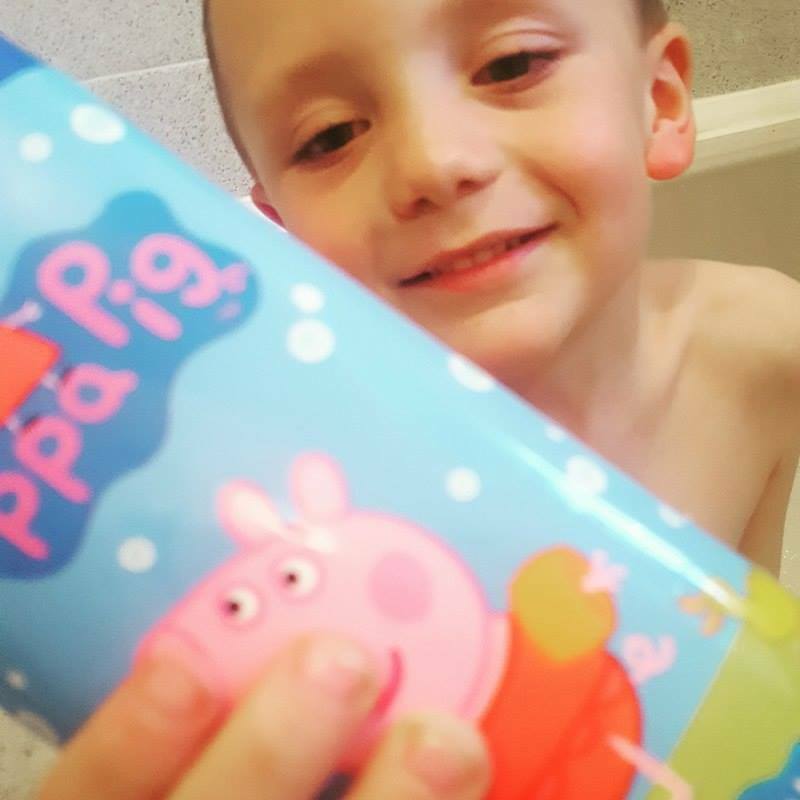 *We received a bundle of Peppa Pig items in exchange for this post. All thoughts and opinions are of my own.